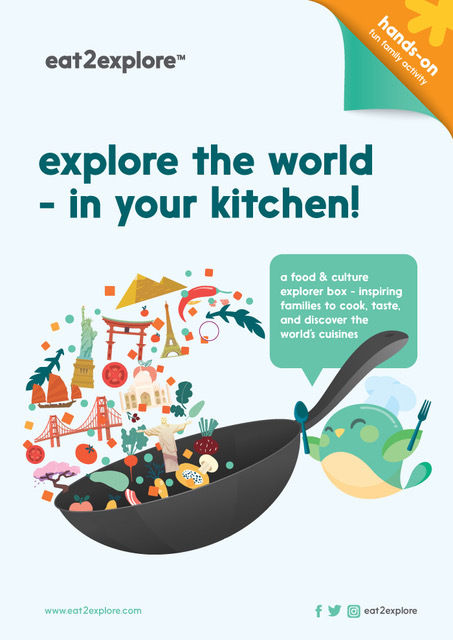 Love to cook and explore the world through food with your family? Then you will LOVE the new international food subscription box from eat2explore. 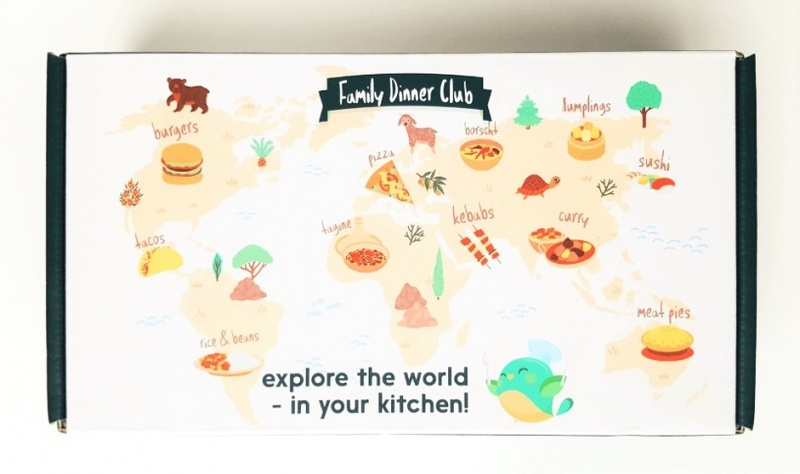 With this monthly food from around the world box you will receive recipes and ingredients to create your own international meals at home. This is the ultimate cooking subscription box for families who love to learn about international foods. Families routinely notice it. Experts often recommend it. Involving kids in the cooking process has lots of benefits. And yet, it can be a challenge. They’re not interested. They’re too young. They’re too busy. We’re too busy. It’s easy to overlook the benefits of cooking as a family and focus on just getting food on the table at mealtimes. 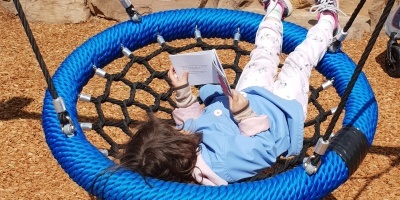 That’s why we were excited to hear from eat2explore, a new company founded by a busy working mom wanting to create lasting memories and genuine engagement with her children through family cooking experiences. eat2explore believe that mealtime should be an experience and that hands-on cooking and culture explorations are both even more important in today’s world than ever before. What is eat2explore and what do you get in this cooking subscription box? 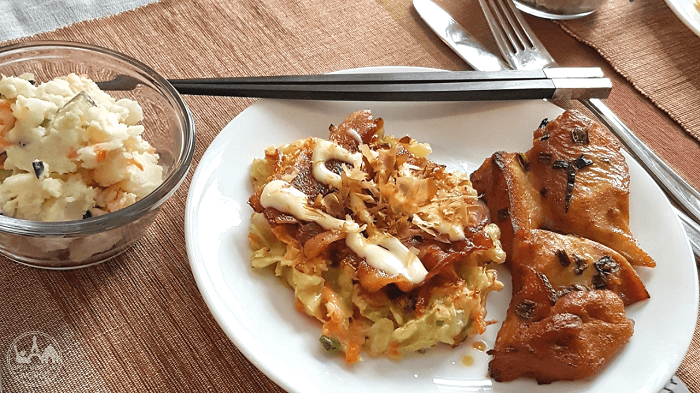 eat2explore is a monthly cooking subscription box containing food from around the world. What age is this cooking subscription box suited for? On their website eat2explore’s age recommendation says ages 5 and up. Note that different ages will have completely different experiences with eat2explore; all fun, but all different. Tweens and teens will enjoy doing most —or all!— of the cooking. They may find some of the “explore country” brochure a bit basic, but will likely have fun trying the new language’s expression for “enjoy your meal,” plus exploring the map. Younger family members might be less involved in the food prep, but will thrill at the keepsake, and make the most of the brochure, especially enjoying images of the country’s unique animals and traditional dress. eat2explore’s website address allergy and food sensitivity concerns. 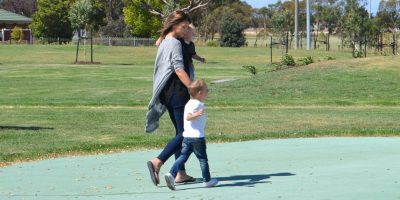 When considering your family’s specific needs, allergy information can be found on eat2explore’s FAQ page. 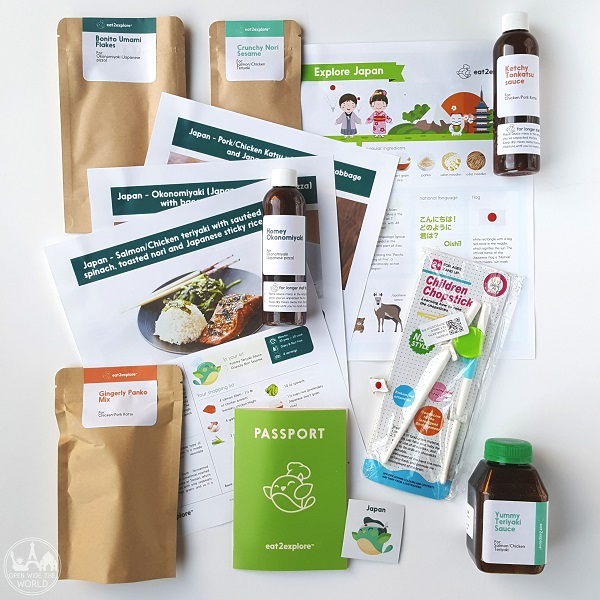 Cooking has many benefits for children, and this monthly international food subscription box enforces each of them. Cooking builds important, basic skills. 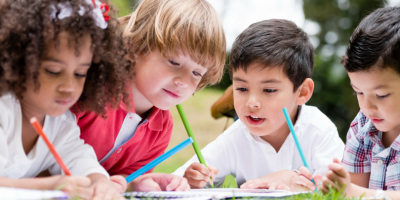 The specific skills a child can build through cooking will vary greatly by age. During our family’s experience, 11-year old Mag used a “real” knife to chop vegetables for the first time, and touched raw beef for one of her first times. She was very proud of these new milestones, which certainly give her more confidence and competence to take on greater kitchen tasks. 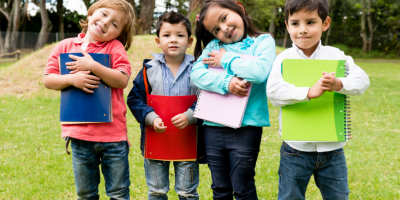 Young children can benefit just as greatly, albeit in practicing more basic skills. Cooking with supervision allows even very small children to use measuring tools, and mix and pour, among other pre-math and fine motor skills. Being part of the cooking process creates pride and “buy-in,” meaning children are more likely to try new or non-preferred foods. Remember those vegetables Mag was cutting? One happened to be a zucchini. And zucchini is not on Mag’s approved vegetable list. Cooking international foods increases world awareness. Whether cooking food from a country we barely knew, or preparing the food of a familiar country, we learned a lot! When we opened our first box and found Lebanon as its theme, we suddenly realized that none of us could quickly locate Lebanon on a map, nor did we know much about it. Hours later, we had a new favorite Lebanese animal (the Nubian Ibex), understood more of Lebanon’s religious makeup, and of course, can find Lebanon on the map. Our second box focused on Japan, a country we know much more about. Our eat2explore box allowed us to build on our existing knowledge. We had a great time learning the origins of traditional foods, practicing Japanese words, and composing words with Hiragana characters. We also learned about the Cherry Blossom Festival in Japan during the Spring. 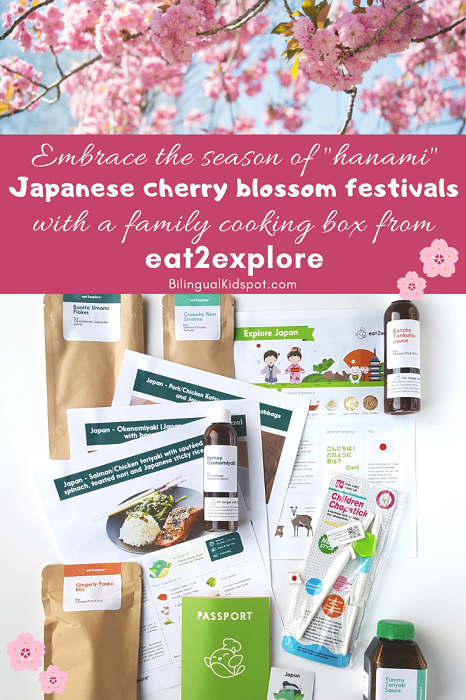 The Japanese box is a great way to help celebrate the Japanese culture during this time. Both countries’ boxes gave us a greater awareness of and sense of connection to distant cultures. Cooking together creates more quality family time and shared memories. Each time a box was delivered, the shared sense of anticipation increased. “What country did we get? What is going to be in the box? What foods will we be cooking?” So much excitement! Unboxing was just as fun! Taking in the smell of the spices wafting from the box. Laying out all the recipes and seasonings. Finding a cute flag pin and a new kitchen tool. Each box felt like a mini Christmas! Then, of course, the cooking process involved complete family cooperation, and the shared meal was the culmination. By the time finished each meal, we had created a weeks-long shared experience. And a lifelong memory! Where can I try out eat2explore? 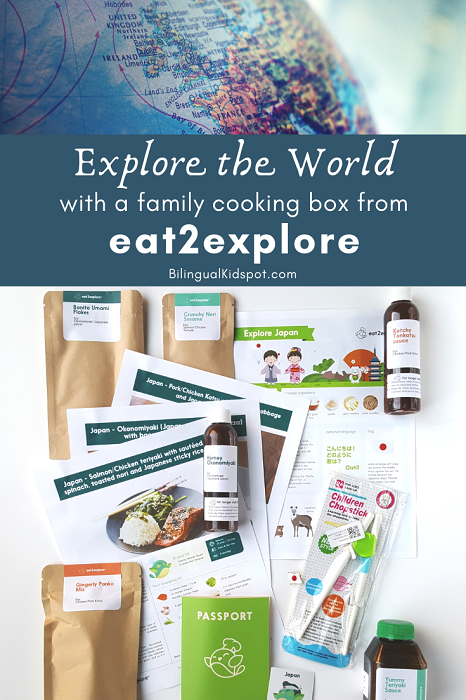 You can find more information about the eat2explore food from around the world boxes and their monthly subscriptions on their website here. Try out the delicious international recipes and let us know your thoughts! eat2explore: Exploring the World Through Food! 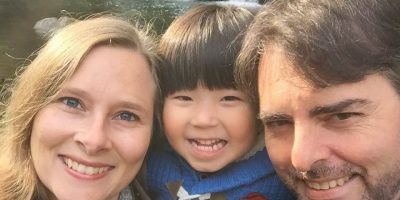 eat2explore is a new company which helps families explore the world through food. They generously provided 2 complimentary country boxes for the purpose of this review of their cooking subscription box. As with any new company, small imperfections may be noted in your shipment such as small printing errors etc. However, these minor variations do not detract from the experience; and the company takes concerns seriously and works to constantly improve their delivery model based on customer experience. Wouldn’t it be wonderful if all companies operated like that! Author: Julie Ap is the founder of Open Wide the World, a travel website centered on the premise that “knowledge enriches travel and travel enriches life!” When Julie & her family are not researching and writing about destinations in Chicagoland, they can be found camping, hiking, boating and traveling all over the US and beyond. Join Julie and her family on their website, FB, Pinterest, or Insta.